From decadent medieval popes to modern televangelists with private jets, religion and money can make for an unsavoury mix. But why do we think of charity – care for the poor and the sick – as a good thing in the first place? People in the Graeco-Roman world didn’t think so: they mostly thought the poor and suffering deserved what they got. This segment looks at a man who dedicated his life to campaigning for the rights of the poor: Anthony Ashley-Cooper, the 7th Earl of Shaftesbury. SIMON SMART: This picturesque English village was once the scene of a tragic mining accident. A freak afternoon storm on the 4th of July 1838 caused the Huskar Colliery, near Silkstone Common, to flood, trapping and killing 26 children. This shocking incident was emblematic of all that the working poor suffered in the process of industrialisation. The politician Lord Ashley, the 7th Earl of Shaftesbury, was moved to act. He was a man of aristocratic background, but he had a real heart for the poor. He called for a Royal Commission into the accident. This exposed the horrific conditions under which people worked in the mines. Children as young as five were employed underground opening and closing ventilation shafts. It was incredibly dangerous work. Shaftesbury managed to have legislation passed in 1842 that prohibited girls and women from working in the mines. It also excluded boys under the age of ten. The law aimed to prevent this sort of tragedy from ever happening again. This action was typical of the Earl of Shaftesbury, who was a hero of 19th-century working class people. He used his parliamentary career of nearly 60 years to agitate for every kind of reform on behalf of the poor. Factory reform; housing; sanitation; he was president of the London Ragged Schools for 39 years, providing free education for poor kids; he campaigned on behalf of chimney sweeps, farm hands, the mentally ill, and countless others. It’s estimated he had been involved with 197 organisations by the time of his death. Christian faith was a hugely motivating force for Shaftesbury. The idea that every person regardless of status or rank was made in the image of God and therefore worthy of respect and care and compassion, meant that for him caring for the poor became something of a sacred duty. ACTOR (7TH EARL OF SHAFTESBURY): Engaged more than ever. Small works compared to the political and financial movements of the day. A boarding-house, a ragged school, a vagrants’ bill, a refuge for thieves! No wonder people think me as small as my work, and yet I would not change it, for surely God has called me to this Career! SIMON SMART: On the day of his funeral in 1885, the streets of London were packed with tens of thousands of working-class people who stood for hours in the rain just to get a glimpse of his coffin as it passed by. Everybody knows this famous fountain in Piccadilly Circus in London, but not everyone knows it’s, in fact, a memorial to Lord Shaftesbury. And another interesting quirk in this story is that people think the statue is Eros – but, in fact, it’s his brother Anteros, the God of selfless love. The sculptor thought it was a fitting memorial to the man whose biographer wrote that “No man has ever done more to lessen the extent of human misery or to add to the sum total of human happiness”. Clearly, not every Christian is a Shaftesbury, but plenty of ordinary people have done their best to sing in tune with Jesus. You won’t read about them in books, but they’re out there, doing what they can to make a difference. Place a mark on this line to show to what extent you agree with this statement: Caring for the poor should be an important priority for the government. If you were a politician and could pass one piece of legislation in relation to poverty, what would it be and why? It might be to do with areas such as minimum wage, working hours, public housing, gambling reform, education, or government financial assistance. Do you think a Christian politician should be influenced by their faith? Why or why not? Discuss. 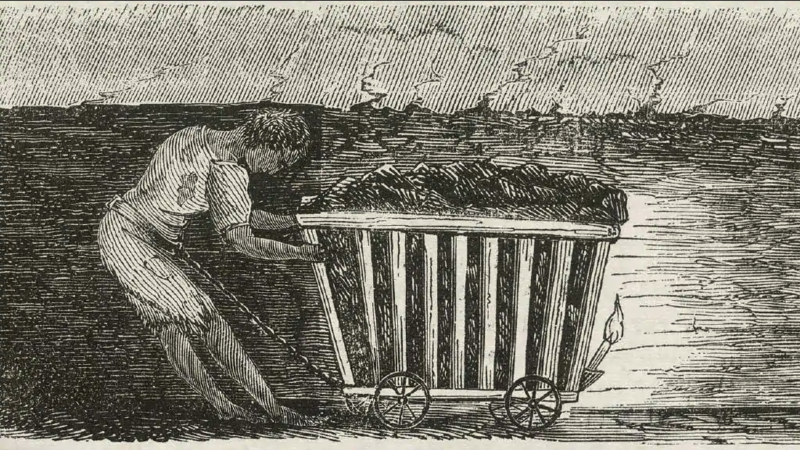 Look at the following images of children working in coal mines in the UK, from a government report compiled by the Children’s Employment Commission in 1842. What is your reaction to these images? 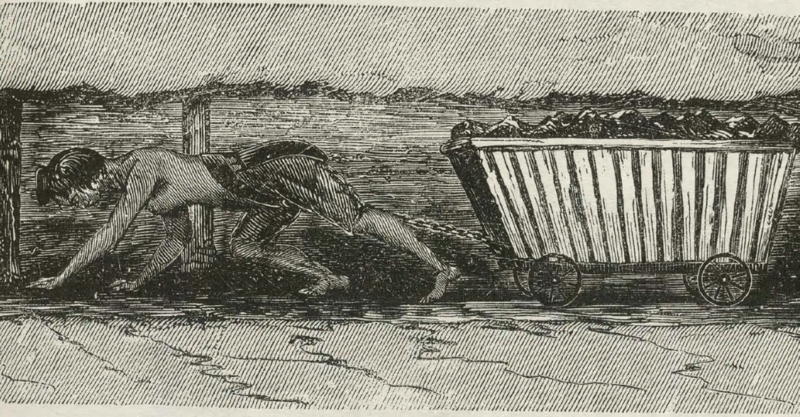 Write the first paragraph of a short story about a child working in a mine in England in the 1800s. What was Lord Ashley’s response to the Huskar mining accident? What did he achieve? In the video segment, Simon Smart lists a large number of reforms that Shaftesbury campaigned for, as well as some of the 197 organisations that he was involved with. What do we learn about Shaftesbury from this? Read the following quotes from Shaftesbury’s diary. What do these quotes reveal about how Shaftesbury’s work was motivated by his Christian faith? Imagine you are a reporter writing for a newspaper about Lord Shaftesbury’s funeral. Write a short article about the event, featuring quotes from at least two people who lined the streets of London to glimpse Shaftesbury’s coffin. What is your reaction to this description of Shaftesbury: “No man has ever done more to lessen the extent of human misery or to add to the sum total of human happiness”? Context: In these verses, God is speaking against Shallum, a wicked king whose father Josiah was one of the greatest reformer kings of Israel. What do these verses tell us about what priorities a follower of God should have? What command is given to those who are rich? Why do these verses say not to put your hope in wealth? What do you think Paul means when he talks about the “life that is truly life”? Make a list of some examples of current issues in Australia that a modern-day Lord Shaftesbury might work to reform. Read this article from CPX’s Simon Smart in ABC News, “Scott Morrison’s Christianity doesn’t spell the end of democracy”. Write an email to Scott Morrison asking him to act on one of the issues listed above, making references to Lord Shaftesbury. Read this quote from Dr Michael Schluter’s lecture on Shaftesbury. Do you think this is the attitude the general public has towards Christianity today? Why or why not? Read this article in Christian Today, “Lord Shaftesbury: Remembering Britain’s great Christian reformer”. Write down three new things you learn about Shaftesbury from this article.